Ok so I'm not an overly-organized person. Sometimes I actually don't like it when things are too clean. I might even mess things up a little on purpose. I know, I know, it's a condition. But there is something about pretty organization. If it's clean, but not pretty then I will pass thank you very much. I hope you enjoy these little tips and ideas to help you figure out pretty ways to organize. 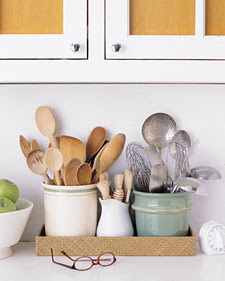 Cute kitchen organization by, my pretend BFF, Martha Stewart. I love the tray and the multiple vessels for utensil organization. 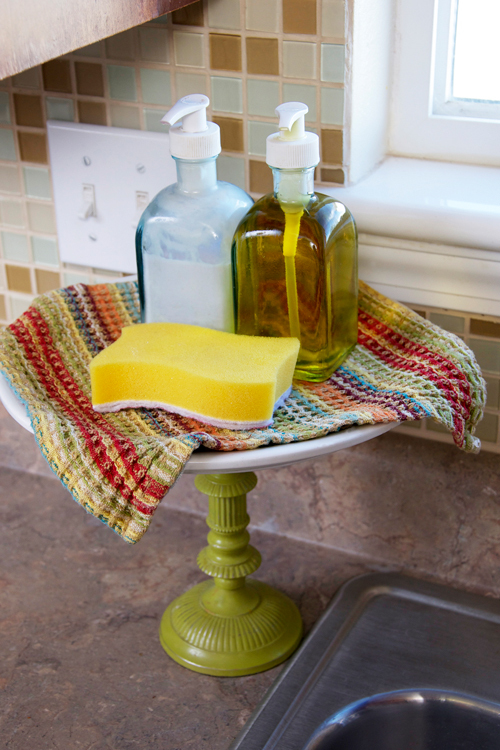 This is something I will be implementing in my kitchen very soon. 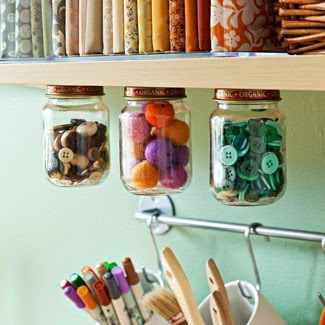 Good Housekeeping's idea of gluing baby food jars to the bottom of a shelf is brilliant. Just think of all the pretties you could put in there. 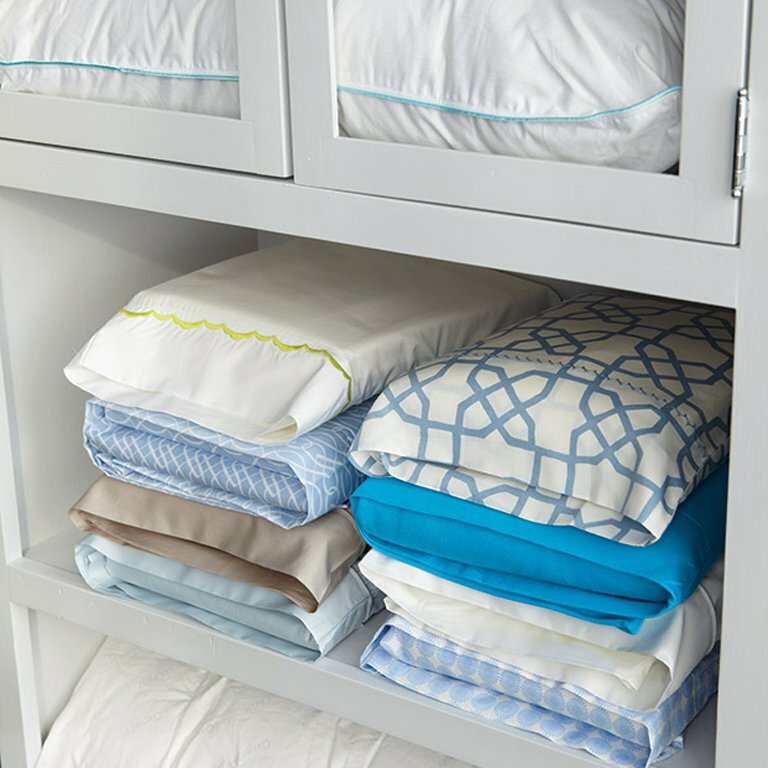 File your fabric. Well hello there beautiful. 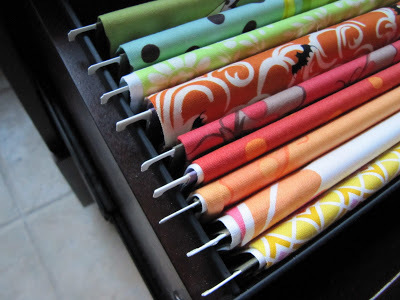 I love this idea from Sew Many Ways. Think of different ways to use things. A friend of mine gave me this glass plate and dome. 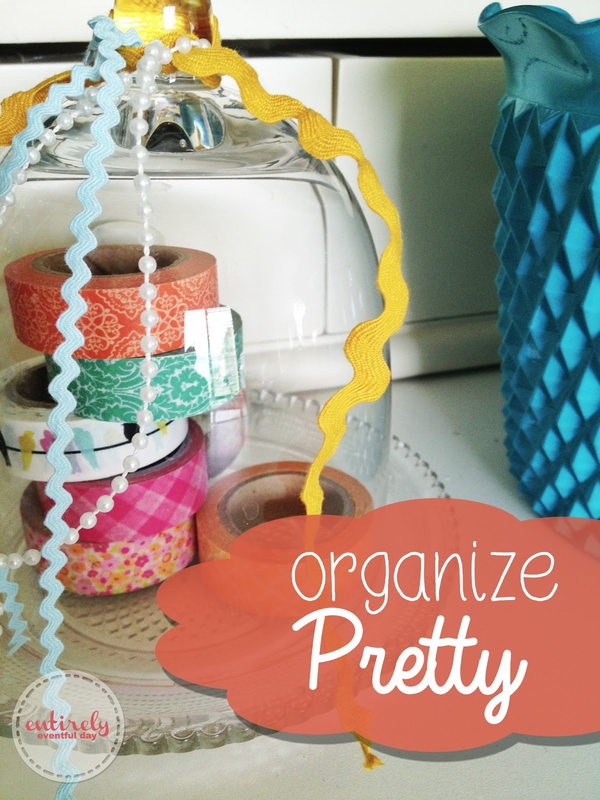 I like to display some of my cute washi tape in it. Here's another example of using something unusual for organization. This cake stand disguised as a over-sized soap dish is pretty as well as functional. Bonus! 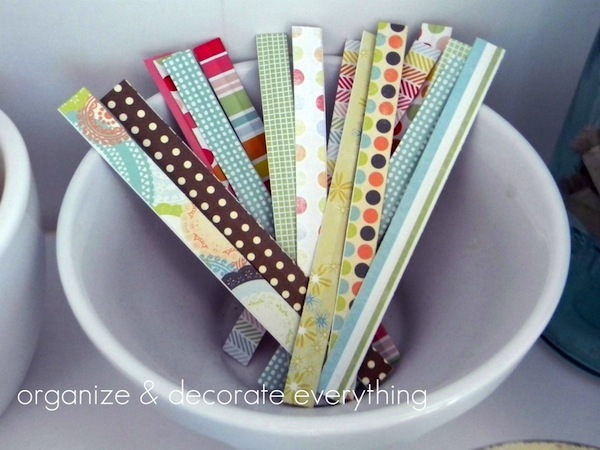 If you are going to use twist ties, they might as well be super-cute twist ties. Ok, where has this been all my life? Am I the only one who doesn't already know this. Thanks Martha, for letting me in on this top-secret secret. If you're gunna use labels, use cute labels for goodness sake. 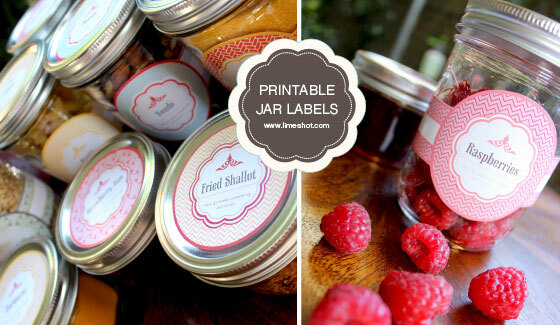 How cute are these free printable jar labels? Cute. Now get to work! You have a lot of organizing to do. LMK how it goes ;).